A priest and a bishop will stand trial at the Orléans Court this afternoon: Father Pierre de Castelet, 69, former vicar general of the Diocese of Orléans, on child abuse charges; and Archbishop André Fort, 83, former bishop of the same Diocese from 2002 to 2010, for not reporting the facts. The accusations against Father de Castelet date from 1993 and the facts allegedly took place at a summer camp of the Eucharistic Youth Movement (EYM) in Arthez-d’Asson (Pyrénées-Atlantiques). The priest, who was the director and the chaplain of the camp, pretended to be a doctor in order to touch children on the pretext they had to undergo medical checks. Caught in the act, the priest was quickly kicked out of the summer camp. The case, however, resurfaced in 2010, when one of the victims realized that the priest was still serving the Diocese of Orléans as a chaplain for the European Scouts movement and was therefore in contact with young people. The victim raised the alarm in a letter to the bishop, Mgr. Fort. But the bishop did nothing upon receiving the letter. It was only in December 2011 that the case was reported to the prosecutor, when the current Bishop of Orléans, Mgr. Jacques Blaquart, was assigned to the Diocese. In 2014 Joan d'Arc is Burnt at the Stake Again -- In the Past for Heresy, Today "Homophobia"
(Paris) The 585th year of the Feast of Jeanne d'Arc, will be commemorated in Orleans. The 17 year-old girl who was chosen this year to represent the Holy and great figure of French national history, was pilloried due to "Homophobia" because she thinks the civil rights movement Manif pour tous is cool. 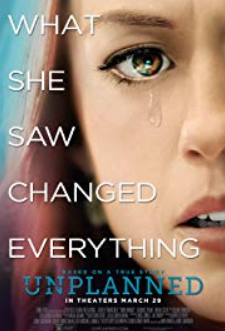 In 2014 there has been a case made in Orleans against Johanna. There were no longer Englishmen raising the pretext of heresy, but their French compatriots under the pretext of homophobia. The Feast is celebrated from 29 April to 9 May in Orleans for the 585th anniversary of its liberation by Jeanne d' Arc this year. The young girl had raised the resistance of France by divine inspiration and even led and freed Orléans in 1429 from the English. By these same, she was later accused of "heresy", sentenced to death by a kangaroo Court and burned at the stake in innocence. In 1920 she was canonized by the Catholic Church. Medieval balls and historical parades which are held annually to commemorate the liberation of the liberation where each year the Saint is represented by a 17 year old girl from the city. In 2014 Félicité Lemaire de Marne was chosen. The Festival, which has its highlights on May 8 and 9, was however overshadowed by fierce accusations this year. 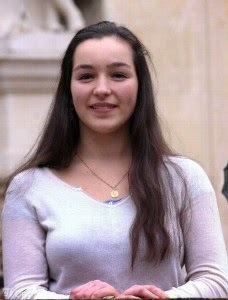 The young practising Catholic Félicité was accused of "homophobia". Christophe de sport Guilloux, the Socialist representative in parliament and member of the group HES (Homosexuality and Socialism) published on the 6th of May, the article: "why I will boycott the Joan of Arc 2014". The enraged de sport Guilloux cited as reason, because the civil rights movement Manif pour tous and the Veilleurs were found on the 17 year old's Facebook page under their "Favorites". Both movements have arisen from the resistance of the Socialist law to legalize the "gay marriage" in France. The member therefore accused the girl of "homophobia". It was "unacceptable" for the role of Jeanne d ' arc, because she "represents all citizens of Orleans", says the Socialist. The 17-year-old, who has been denounced, tried to defend herself: "I am neither homophobic nor hostile to the Government. But I have my beliefs." But the Inquisition considers these words were insufficient. Rather than bring peace in the matter, there were increasing attacks. Politicians and homosexual associations blustered, and threatened the mobilization of self-proclaimed 'civil society' and the media stood outside the door of the student, who didn't know how it came to pass. At the end, there was pressure from the Organizing Committee that got cold feet. They did not wish to become embroiled in a "political conflict", it concerns a "Feast", it was said. Finally Félicité deleted Manif pour tous and other "suspicious" groups from her Favorites list. But that was not enough for the modern Jacobins. The girl had to cede to the pillory and a public statement with a mea culpa, that she had been "reckless". "The Pope Wants to Recognize the SSPX"
The General Superior of the Society spoke at the Chartres Pilgrimage about the efforts toward reconciliation with the Vatican. 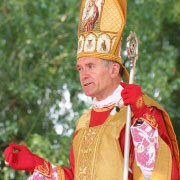 Bischof Fellay bei der Wallfahrt nach Orléans. (kreuz.net, Orleans) Since Saturday and till Monday the Society f St. Pius X marched from Chartres to Orleans. In the last year, Paris was the pilgrim's goal. But this year the Society are recognizing the 600th birthday of the French national heroine, St. Joan of Arc (+1431) who was born in Orleans. The Pius Pilgrims didn't know for long where the concluding Mass would take place in Orleans. The authorities of the city were really intent on sabotaging the event. The Society requested some land near the Cathedral in the center of the city. The authorities expressed their concerns about that. Then the place agreed upon and the Society began with its planning. Two weeks before the beginning of the pilgrimage, a denial came out of the blue. The concluding Mass would therefore have to take place on the peninsula of Charlemagne on the harbor of Loire at the doors of the city. On Pentecost Sunday Bishop Bernard Fellay -- the General Superior of the Society -- celebrated Holy Mass for the pilgrims. He preached long in French, English and German. The General Superior touched upon the subject of the destruction of the Church and talked about the Pastoral Council. Humanly speaking the distorted figure of the Church can not be saved from this crisis -- he said. Actually, one can't think humanly. The Church will remain, because She is the bride of Christ. The Bishop explained that the Society is full of mistrust and fear in the things of the discussion with the Vatican. One sees how poorly the traditional societies reconciled with the Vatican have been managed -- even those, who have only a light inclination to tradition. The Society have to proceed with great intelligence. At the same time Bishop Fellay sees the possibility that the Society will be recognized. If the reconciliation threatened the existence of the Society, then it would be rejected. At the same time it's not a question of imposing God's will. Will the Pope Follow Through to the End Despite Opposition? Of one thing is Msgr Fellay certain: "The Pope wants to recognize the SSPX." "Will he give in, if he is confronted with pressure, with opposition?" At present there are many open questions. Msgr Fellay mentioned the Dogmatic Discussions and the various ways of weighing the Pastoral Council.